"The loudest band we've ever had in the studio"; with those words, CBC Music shares a new session with METZ, performing songs from their latest album 'Strange Peace'. Watch below. 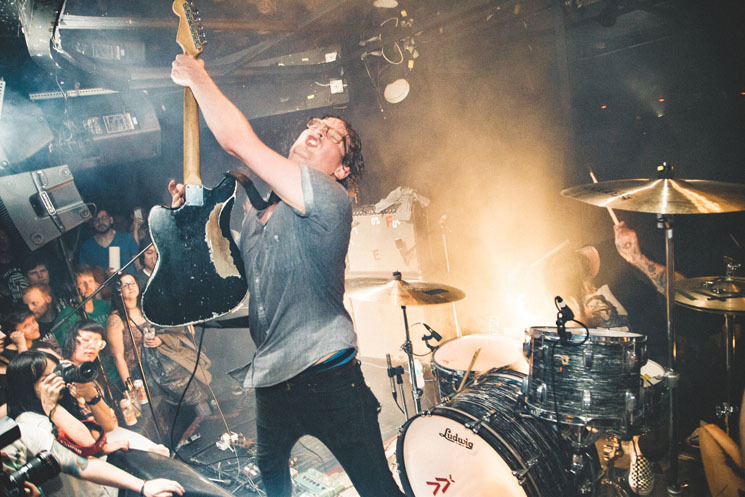 "The noise rockers pounded through a blistering set of songs from their new album, Strange Peace, that ended in a cathartic sweaty mess. Strange Peace is a surprising title for a punk-metal album, but watch the videos below a few times and you'll find a unique harmony amidst the chaos." METZ play Le Guess Who? 2017 on Saturday, 11 November, together with a.o. Kevin Morby, Moon Duo, John Maus, Shabazz Palaces, Ben Frost, Zeal & Ardor, The Bug vs Earth, Dälek, and many more.